When you have back pain, all you care about is alleviating it as much, and as soon, as possible. It doesn't matter how many over-the-counter medications you take, it won't correct the problem. However, an Complete Care Chiropractic chiropractor uses natural methods that get to the origin of the problem to give you a true treatment for your back pain. 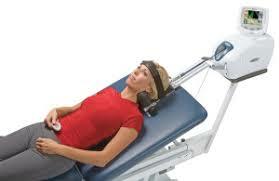 Spinal decompression is a treatment that consists of a traction table you're placed on. You're connected to various pulleys and other hardware that stretches your spine. As it gently pulls on your spine, it takes pressure off of the discs in your back. The procedure takes around 20 minutes per session. Generally, our Complete Care Chiropractic KC spinal decompression chiropractor recommends you receive 15 treatments or more to see the full benefits of the procedure. A spinal decompression chiropractor in Olathe KS ensures the procedure goes safely, and you experience minimal to no side effects from the treatment. When our chiropractor in Complete Care Chiropractic performs a spinal decompression treatment on you, it takes pressure off of the sensitive discs in the vertebrae, allowing them to heal without excess stress. It helps to reduce the pain and discomfort you're feeling. It can lessen the nerve irritation caused by the vertebrae in your back rubbing against them. Additionally, this particular treatment has the potential to optimize the amount of blood flow throughout your back, so any injuries are able to heal quicker. This occurs because the increased blood flow brings extra nutrients needed for healing to the region. Our Complete Care Chiropractic KC spinal decompression chiropractor may use spinal decompression along with other chiropractic care techniques to treat arthritis, pain from bone spurs, and other conditions like a bulging or herniated disc. A bulging disc occurs when the wall of the disc weakens, and the contents push on this weakened area. It's possible it'll eventually rupture if not treated. A herniated disc occurs when a disc tears, and the content seeps out. A herniated disc usually causes more pain than a bulging disc. 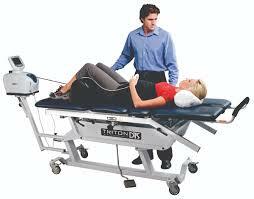 We may use it if you have an injured or degenerative disc. A degenerative disc is one that undergoes changes as a result of age. These changes cause you pain throughout your back. Another possible cause of pain that a spinal decompression chiropractor in Complete Care Chiropractic KC treats nerves issue such as sciatica. Our Complete Care Chiropractic KC chiropractor may use spinal decompression along with other chiropractic care treatments for other problems that cause back pain as well. If you're experiencing back pain, our spinal decompression chiropractor in Complete Care Chiropractic KC may be able to help. Contact us today at Complete Care Chiropractic KC by calling 913-815-8076 to schedule an appointment.